Early on in the negotiations to save the Trans Mountain pipeline expansion project, it became clear Kinder Morgan just wanted the project off its hands. So it didn't take long before talks between the oil company and Ottawa focused on the burning question: price. On May 9, one day after meeting with Alberta Premier Rachel Notley, federal Finance Minister Bill Morneau sat with three key federal staffers across a table from Kinder Morgan CEO Steve Kean and three of his people in a spartan conference room at the oil company's headquarters in Houston. They were in the United States' energy capital to talk about Trans Mountain — how to save the project and what saving it might cost. Sources won't say what Kinder Morgan asked for that day, but it was clearly more than Morneau was comfortable with — because the government soon gave the company a heads-up that it would shortly give a news conference. At that May 16 news conference, Morneau made public Ottawa's offer to indemnify the pipeline against politically-motivated delays by the NDP government of B.C. Premier John Horgan — which opposes the pipeline expansion and has been seeking a court reference from B.C. 's Court of Appeal indicating whether the province can control the transport of heavy oil to the coast. Morneau also floated the idea that other investors were interested. "The indemnification would allow Kinder Morgan to finish what they started, what they received federal and B.C. approval to do," Morneau said that morning. "If Kinder Morgan isn't interested in building the project, we think plenty of investors would be interested in taking on this project." To the people who had been sitting around that boardroom table on May 9, Morneau's message couldn't have been clearer. Ottawa already knew Kinder Morgan just wanted the pipeline off its hands. On April 18, Kean told reporters in a conference call that finishing the expansion might be a bridge too far for his company. "It's become clear this particular investment may be untenable for a private party to undertake," he said. After May 9, in other words, the negotiations were no longer about reassuring Kinder Morgan about the odds of getting the expansion built, or offering to protect the company from costs associated with political roadblocks. Now, they were talking about price. And since Kinder Morgan was the party eager to get out of the Trans Mountain business, it wasn't necessarily in a position to dictate a price. "(The press conference) was a way for us to test the resolve of the company," said a government source with knowledge of the talks. "If (Kinder Morgan) really wanted to build the pipeline, why not take the indemnity?" CBC has spoken to multiple government sources with direct knowledge of the negotiations, who spoke on condition of confidentiality, to get an inside picture of how the deal went down. The intense, high-stakes negotiations ultimately led to a $4.5 billion deal for Ottawa to buy the pipeline from Kinder Morgan. The press conference, said a senior government official with direct knowledge of the negotiations, was a way of pushing back at Kinder Morgan's position in the May 9 meeting while indicating to the pipeline company that it didn't "hold all the cards." "I think the news conference was an unexpected move," said another government source. "It showed how serious the government was about negotiating." Outside observers agree the press conference — which just happened to take place the same morning Kinder Morgan Canada shareholders were at their annual general meeting in Calgary — probably was intended to convince Kinder Morgan to keep the asking price down. "It may have been a pressure tactic," said Richard Masson, former CEO of the Alberta Petroleum Marketing Commission and now an executive fellow at the University of Calgary's School of Public Policy. "But it also seemed like a last-ditch Hail Mary. If you think you're having fruitful negotiations, you don't negotiate in the press." "When you're in a negotiation that was governed by confidentiality agreements, to have the federal minister say that his negotiating position is based on indemnity, it's unusual," said Denis McConaghy, a former Trans Canada executive. Nationalizing Trans Mountain: What can we learn from past government bailouts? McConaghy said he believes the news conference was really about trying to prod other potential investors into coming forward, and that it failed to do so. "What it proved in and of itself is that it did not flush out some third-party company." Whether it was a brilliant strategy or a move born of desperation, it appears the news conference spurred negotiations along. "Time was running out," said Masson. "So if they were going to find any solution they had to find it in that next couple of weeks." 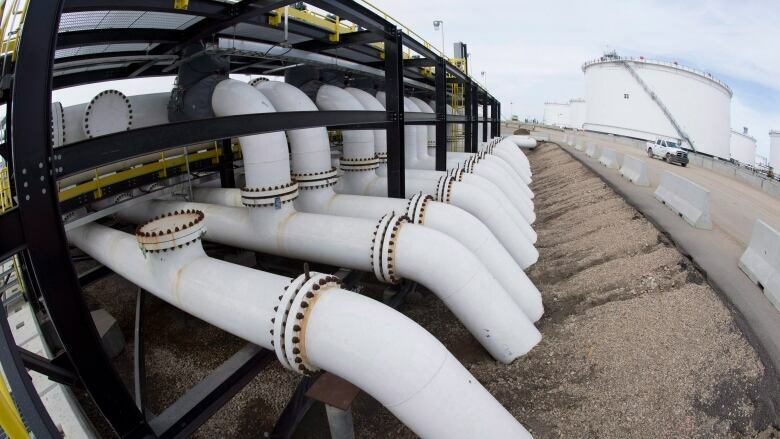 The talks between Kinder Morgan and the Trudeau government began shortly after April 8, when Kinder Morgan suspended all non-essential spending on the pipeline expansion and gave both the federal government and the governments of Alberta and B.C. an ultimatum: remove the political roadblocks by May 31 or kiss the project goodbye. Two weeks after the May 9 meeting, the key players faced off again — this time in an even more stark boardroom on the 24th floor of an office tower at King Street and University Avenue in Toronto. "We didn't know until close to the end that there could be an intersection for both sides to meet on price," said the senior government official. The official added, however, that Morneau's task going into the late-May meetings was to convince Kinder Morgan that getting the government to invest would not be like "winning the lottery" — that Ottawa would be politically accountable for the deal and would have to justify its cost to taxpayers for months, maybe years, to come. "It wasn't just about dealmaking. We were being truthful about that. We were not making it up and they saw the truth of that." All along, the government was given access to Kinder Morgan's data and — with advice from its own pipeline experts and investment bankers — Ottawa went about figuring out what it should pay for the existing pipeline and to build the expansion. It worked out several scenarios with various combinations of potential prices, construction costs and rates of return. At some point, the government got comfortable with a certain price range — although it was careful to keep that price range a secret in its discussions with the pipeline company. One major source of federal anxiety was taken off the table when Kinder Morgan agreed to resume construction this summer — which meant the project wouldn't be left in limbo for much of the construction season while Ottawa waited for company shareholders to approve the purchase. "That was key," the official said. "It bought us time. As long as they agreed to that, we can keep talking." From the beginning, the government knew its main point of vulnerability going into talks with Kinder Morgan was political. Prime Minister Justin Trudeau had declared more than once that the pipeline would be built. With the PM's personal political capital riding on the Trans Mountain expansion succeeding, Kinder Morgan was in a position to exact concessions and a better price. "It is absolutely plausible that Kinder had come to the determination that it just wanted out and that it would test how badly Justin Trudeau wanted to preserve the project," said McConaghy. The government sources, however, say Ottawa's vulnerability was balanced out by Kinder Morgan's — that with the company desperate to sell (and anxious to get some return on its $1 billion investment) and the government desperate to build, neither side was in a position to dictate terms. "We negotiated in a shrewd way. We went toe to toe with them," said one government source. Now, the government has a twofold problem: convincing Canadians that purchasing the pipeline was a wise move, and convincing the business/corporate community that Trans Mountain's fate doesn't prove Canada is fundamentally hostile to large-scale infrastructure projects. The Trudeau government is keenly aware that many see this deal as proof that such projects can only get done when Ottawa steps in with public money. Speaking to the Calgary Chamber of Commerce on Wednesday, the day after the deal was announced, Morneau was blunt. "We did not think the first best alternative for us was the federal government to step forward and to need to purchase this project," he said. But the circumstances are exceptional, he added: the nation needs a pipeline to tidewater, and a political brawl between two provincial governments is standing in the way of getting it done. "We don't see this as a symbol of a way to get things done in our country," he said. "We see this as an example of the need for us to step in when things are difficult." The goal, of course, is to get the private sector to step back in, eventually. Now, the government just has to find a buyer. Will selling a pipeline prove easier than buying one? We'll find out.